Not so many years ago Leytonstone Town centre was more desert than dessert when it came to eating out but in a small area there is now quite a range of cuisines including a few gems. There are no Michelin stars in the area, but there’s no need to travel afar now to find a pleasant meal out and once you have exhausted the choice of Indian, Thai, Chinese, Mediterranean, a patisserie, MacDonalds and pub grub there are 70 places to eat at Westfield Stratford City just two stops away on the Central Line (plus other nearby locations such as Wanstead. See the Eating Out page for more details. O’Neills’ (the former Green Man), The Walnut Tree (JD Wetherspoons), The Red Lion, which reopened in 2011 after a brief reincarnation as ‘Zulus’, and The Crown (formerly The Sheepwalk) are in the Town centre area, with the North Star just off the High Road in the old Leytonstone village area of Browning Road and the Sir Alfred Hitchcock Hotel on Whipps Cross Road with views over the forest and log fires in winter. The Luna Lounge, hidden away underneath The Eatery Indian restaurant on Church Lane offers live music and comedy with a growing reputation that goes beyond the area. ‘What’s Cooking’ is a cheap night out that involves “blues, bluegrass and ‘rockin’ country-fried music”. 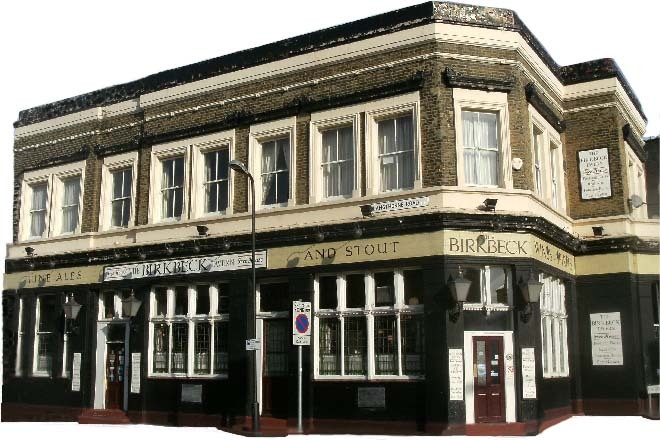 It’s moved about a bit since starting in Walthamstow in 2004, but it now has its own permanent home in the Birkbeck Tavern, 5 minutes walk from Leyton tube at 45 Langthorne Road, London, E11 4HL. The Birkbeck Tavern has a regular programme of other music events and it’s worth checking out their Facebook page to see what else is on. See Eating Out for more information. See the Sport page for details of venues, clubs and teams. The News from Nowhere Club provides a lively series of monthly talks on a wide range of subjects. Founded in 1996 it aims to foster fellowship and challenge the commercialisation and isolation of modern life. Topics for 2012 include real ale, making a living as an artist craftsman, young historians in Leyton, Ruskin’s legacy and Bangladeshis in London. More about the News From Nowhere Club. 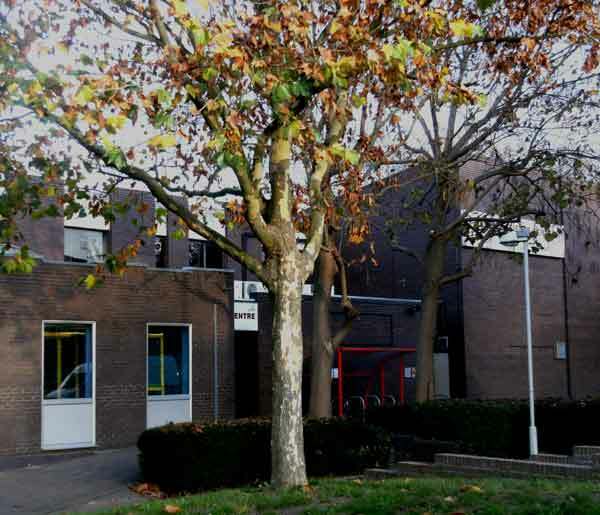 Leytonstone has its own Theatre group, The Woodhouse Players who mainly perform in the Welsh Church Hall next to Tescos and the Leytonstone Pop-Up Cinema run by Leytonstone Film Club at Leytonstone Library. 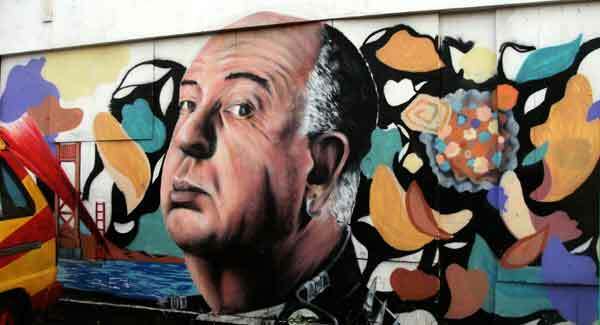 Leytonstone’s famous film director, Sir Alfred Hitchcock is also celebrated in mosaics at Leytonstone tube station. Nine of his films are being restored for the 2012 Cultural Olympiad: see story in the Independent. 491 Gallery, 5 minutes’ walk down Grove Green Road from Leytonstone tube station was a community arts based project with workshop space, exhibition space and garden space. 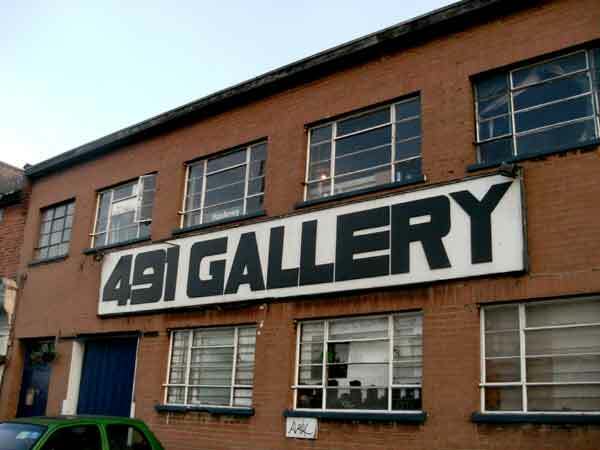 It was reported that 491 Gallery is to be demolished to be turned into flats, but the gallery has set up a website to try to secure a future elsewhere. In 2011 a small art gallery opened on Church Lane The Stone Space. This has rapidly become a magnet for artists and has a constantly changing programme of exhibitions, such as ‘Eden’ by Carne Griffiths in March 2012. It really is worth checking out. There are also regular displays of art organised by Slate Arts for the Community and photography in the windows of the council office next door. There is also an online arts project called Leytonstone Museum which a local student has set up for her MA in Art and Design Education. This is bringing together photos, stories and ideas about Leytonstone and will increasingly provide a fascinating archive of life in this area. Each summer sees the Leytonstone Arts Trail and Leytonstone Festival culminating in the Leytonstone Car Free Day in September. More about Leytonstone Festival and Arts Trail 2012. Vestry House Museum in Walthamstow Village serves the whole borough and presents the history of the area. There is a regular programme of events and garden open to the public. The museum is run by the London Borough of Waltham Forest. The William Morris Gallery is in Lloyd Park, Forest Road, Walthamstow reopened in July 2012 following a major refurbishment, which has included the park. The gallery and park are run by the London Borough of Waltham Forest. Queen Elizabeth’s Hunting Lodge was originally built for King Henry VIII and known as the Great Standing. It is open all year and has displays of Tudor foods, kitchenware and carpentry and regular events. 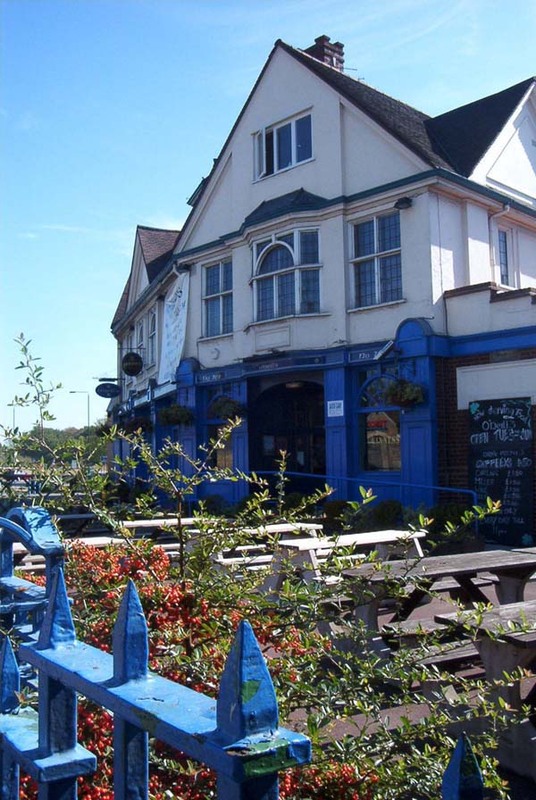 The Lodge is on Ranger’s Road, North Chingford and as part of Epping Forest is run by the Corporation of London. 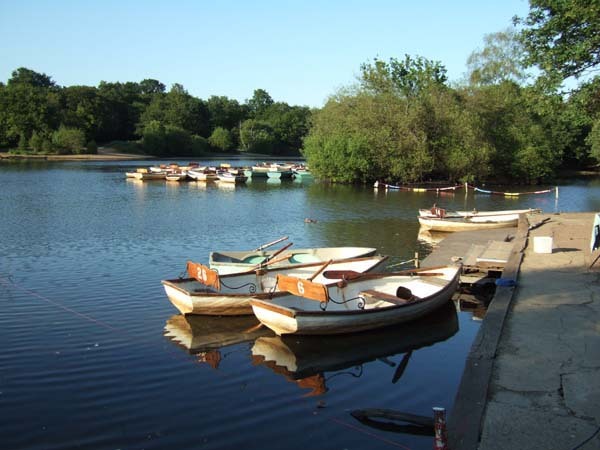 By far the greatest gem for spending your free time in Leytonstone is the green space offered by Epping Forest in the shape of Wanstead Flats to the east and Leyton Flats (or Hollow Ponds) to the north where you can walk, enjoy a picnic, kick a ball, fly a kite or hire a rowing boat.